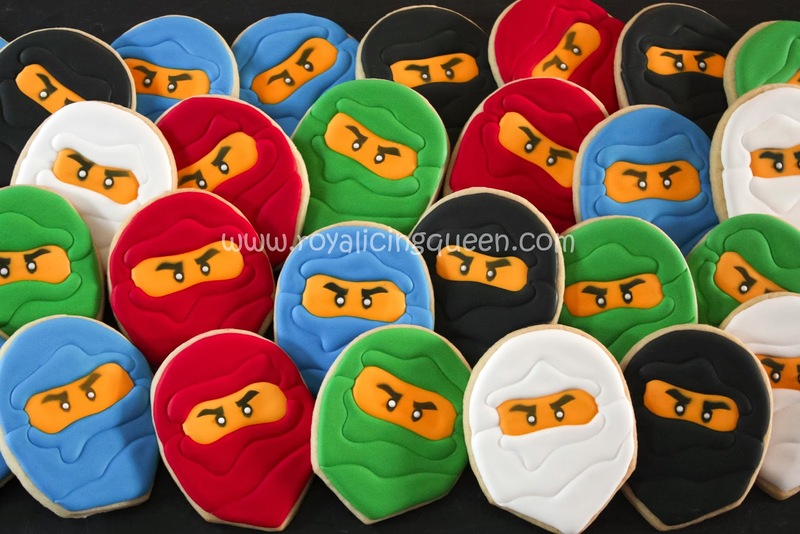 I made these cookies for a friend's son's 7th birthday party. I followed Sugarbelle's tutorial fairly closely. I used the Wilton Comfort-Grip Egg cookie cutter and trimmed off a couple of pieces from the bottom to give them this shape. Instead of piping on frosting for the eyes, I cut out my own stencil and airbrushed them on with black food dye. When my older daughters saw me making these cookies, they got very excited. They immediately insisted that I make "the Gold Ninja." I had no idea what this was, but it wasn't hard to figure it out. It's exactly what it sounds like. A gold ninja. So I decided to give making one a try. I made on Ninjago character that looked just like the others except that it's base color was a yellowish brown. Then I airbrushed some gold sheen food dye onto the cookie. This was my first attempt at using my airbrush to evenly cover a larger surface. 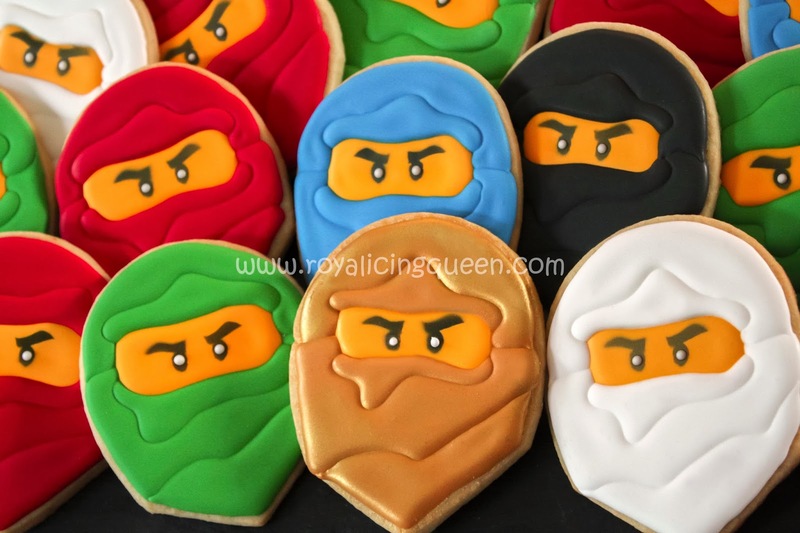 I wished I had made more brown Ninjago cookies to use for practice. I had only made two so I didn't have much room for experimenting, but I think it turned out well enough. I sent one gold ninja along with all the others for the birthday boy.